National media flipped out over a massive, rotating disc of ice that formed at a bend in the Presumpscot River, a strange phenomenon caused by cold temperatures and rotational forces. Gawkers estimated the disc’s diameter at 300 feet. A collision between a fuel tanker and an SUV on Route 27 caused the tanker to explode. So hot were flames that siding on the post office 50 feet away melted. The drivers escaped with only minor injuries. 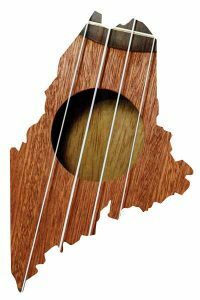 Local musician Roger Damboise compiled a songbook, in French, of Acadian folk songs for the ukulele that date as far back as the 17th century. The book isn’t for sale — interested parties need only contact Damboise for a free copy. Police dogs received winter boots to protect their paws from salt. Video of the dogs staggering goofily around as they got used to their new gear generated headlines around the country.